Dodge is set to make quite a statement as it releases enthusiast-demanded paint hues for its 2017 models. An amazing selection of over twenty colors, inspired by nostalgia and the manufacturer’s heritage of powerhouse vehicles, will give drivers even more opportunities to personalize their car. Dodge already made a sharp impression with the “Go Mango” shade for the 2016 Challenger and Charger and now again shows that it’s a company that continues to give customers what they want. Learn more about these exciting shades and models, and contact Sorg CDJR to stay up to date on their arrivals! Challenger: The Challenger produces no-nonsense HEMI® V8 velocity, with the 375-hp 5.7L and 485-hp 6.4L engines in the Challenger T/A and the 707-hp engine in the Challenger SRT Hellcat. Charger: Echoes of the 1969 racer are evident with the revamped Charger Daytona and its distinctive detailing. Durango: Watch heads turn as 20” wheels, a power liftgate, and dual exhaust tips accentuate the Durango’s exterior Blood Orange or Contusion Blue shade. Grand Caravan: Add the Blacktop Appearance leather and silver interior accents to the Grand Caravan SXT or SE Plus trim, and raise the bar even further for your minivan. Journey: Think how the White Knuckle or Brown Bomber hue wonderfully encases the Journey’s 67 cu. ft. of cargo space, making it a standout family car. Viper: Treat yourself to a limited-edition 25th anniversary Viper for a truly one-of-a-kind muscle roadster. Message Sorg CDJR online, or visit our 1811 Elkhart Rd in Goshen, IN showroom Monday through Saturday, to stay up to date about the 2017 Dodge vehicles and their terrific new colors. 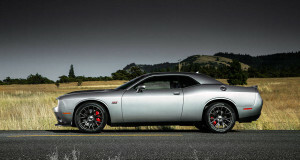 We can let you know when these new Dodge models are available for a test drive!